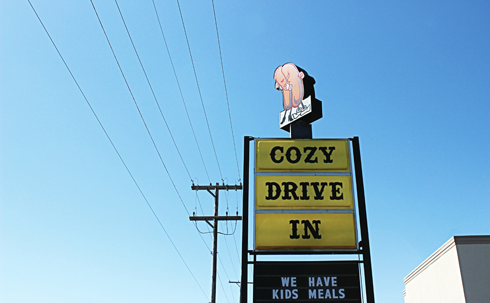 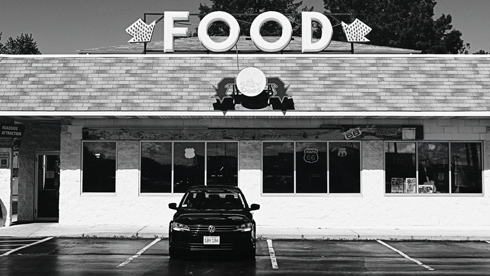 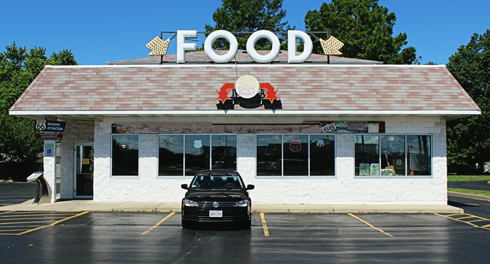 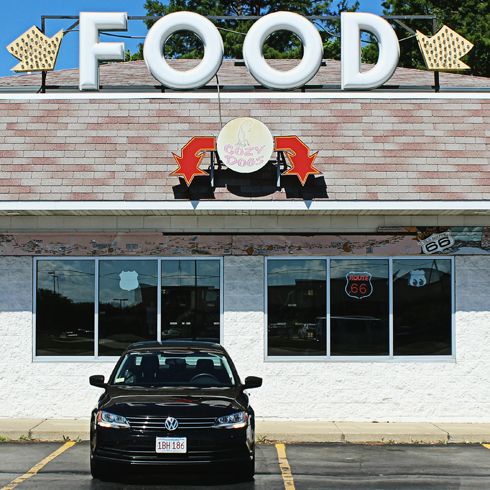 If you're looking for an interesting stop along the Illinois stretch of Route 66 try the Cozy Dog Drive-In in Springfield. 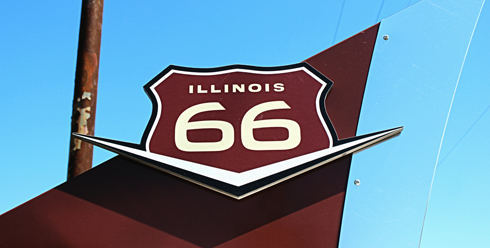 Having just driven Route 66 through California last year, I was looking for a few unique stops as I detoured through parts of the Midwest on my latest road trip. 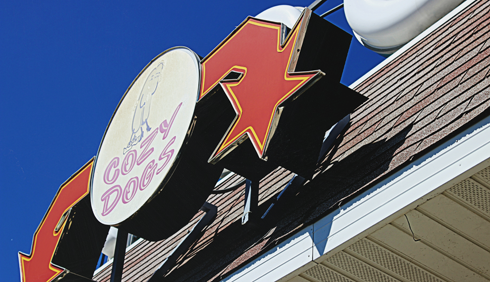 Cozy Dog is a restaurant chock-full of Route 66 memorabilia and they're famous for their "hot dog on a stick" AKA corn dogs. 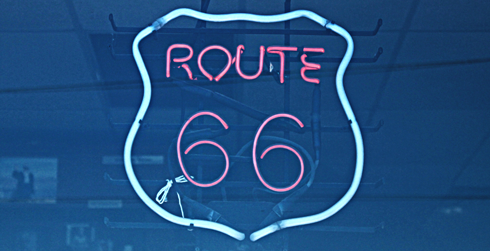 I liked that there was a Route 66 marker out front as it made the stop seem a bit more novel. 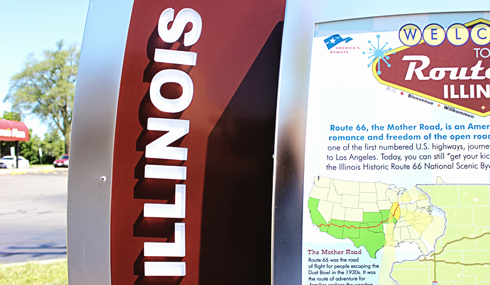 It was also a great opportunity to see just where I was. 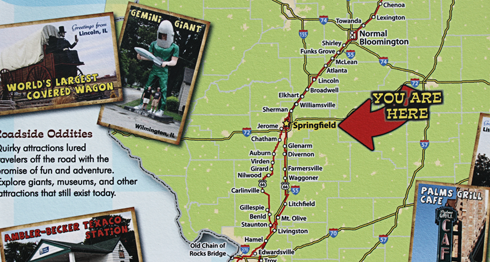 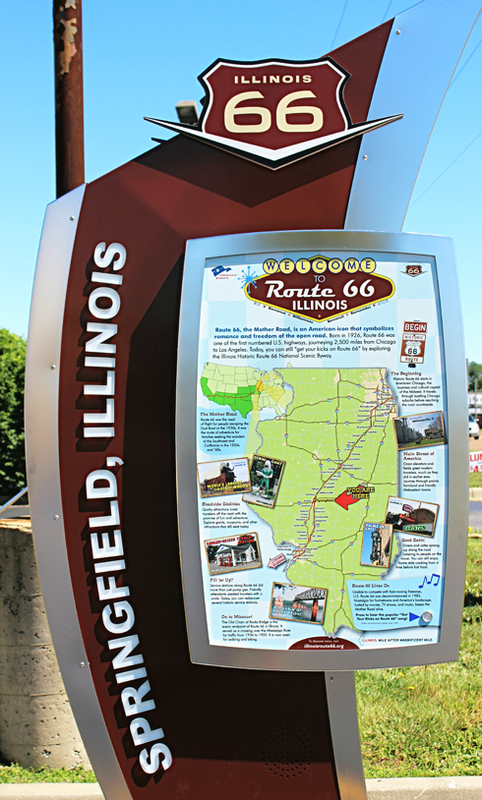 Springfield, Illinois is about 200 miles south of Chicago, where Route 66 officially begins.